Gig Werks, a certified Sharegate partner, offers the expertise and experience to deliver Sharegate solutions for SharePoint migration, security & content management. 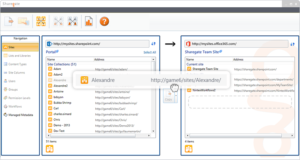 Sharegate Management & Migration makes your life easier while managing and migrating SharePoint. 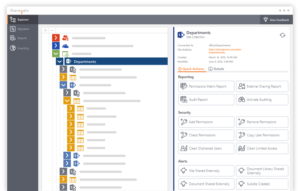 Ensure that your Office 365 and SharePoint security is flawless, get smart insight to clean up your environments according to your governance plan, and successfully migrate from one farm to another. All in one place. 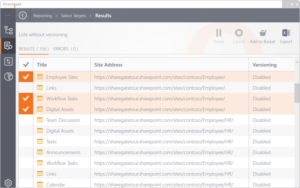 With Sharegate, you instantly become a SharePoint hero. Contact the SharePoint and Sharegate Solution experts at Gig Werks with any questions or inquiries. Simplify and accelerate your migration projects, even terabyte-sized ones: there’s no limit to the amount of data you can migrate with Sharegate. Upgrade to the latest SharePoint version or move your business to the cloud faster and with zero downtime. 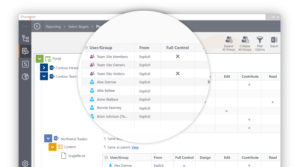 Sharegate allows you to identify what your users have access to making it easy to manage your permissions and comply with your security rules. Sharegate’s Explorer is the easiest way to visualize and edit your SharePoint, Office 365 or Hybrid environment all in one place. Your business is always evolving, your environments should too. Reorganize your existing SharePoint & Office 365 content whenever you need. Clean up and fill out missing metadata in no time to avoid losing documents or empty search results. 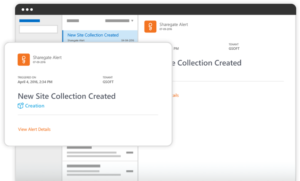 Sharegate Online alerts you when something important is happening in your Office 365 so you stay in control of your Tenant.